Yesterday night I finished reading The Slap by Christos Tsiolkas and I already miss its characters. This novel has been first published in 2008 and it takes place in Melbourne. This is the main reason I’ve chosen to read it. I was curious about reading a story that takes place in the city where I’m living at the moment and Tsiolkas hasn’t disappointed me at all. The plot is pretty simple: during a barbecue, a man slaps a child who is not his own. A group of people witnesses what happens and is directly or indirectly influenced by the slap. 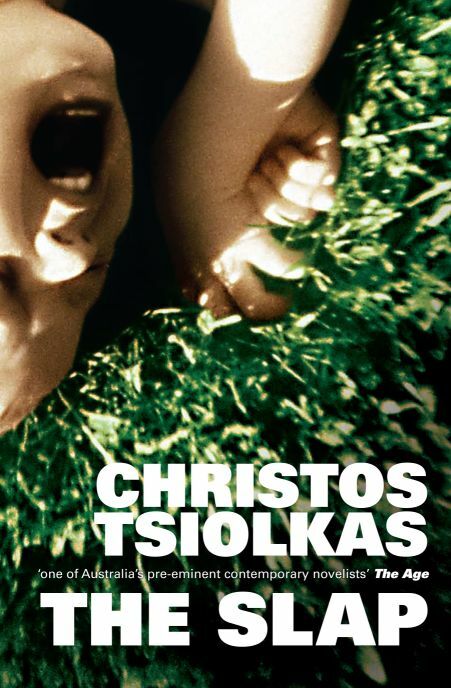 Tsiolkas is brilliant at writing about modern family and domestic life, touches themes such as adultery, abortion, parenthood, domestic violence, drugs abuse, alcoholism, racism and last but not least homosexuality. Tsiolkas makes the reader feel part of this story, makes anyone wonder if the choices he/she makes in everyday life are good or not; but who decides what’s wrong and what’s right? Bad or good?